In Japan, during the hot Japanese summers, most people will keep the balcony glass doors open to allow the breeze in. To keep the bugs out, there is usually a sliding meshed insect screen door or amido (網戸). The insect screen door does a good job keeping the bugs out, but for families with small children, how do you stop them from sliding open the screen door and creating havoc or injuring themselves in the balcony? 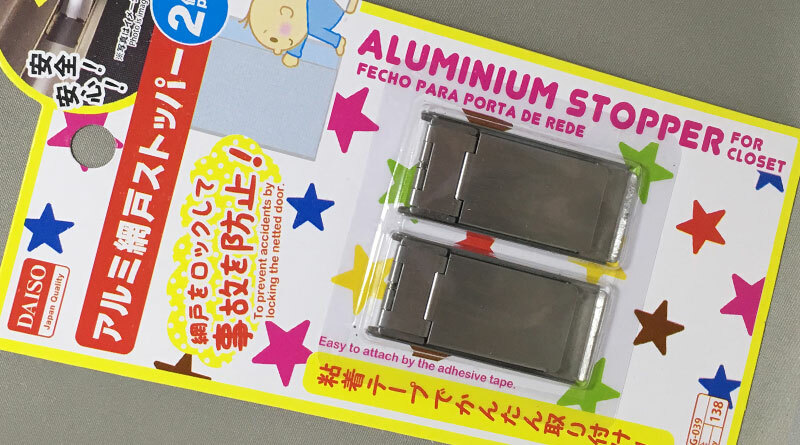 With this Sliding Insect Screen Door Stopper from Daiso, you can easily keep the screen door locked. The pack comes in a set of 2 stoppers. 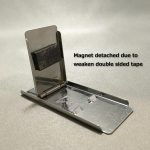 The stoppers are attached to the screen door frame with adhesive on the back of the stopper, so it does not need tools to install. 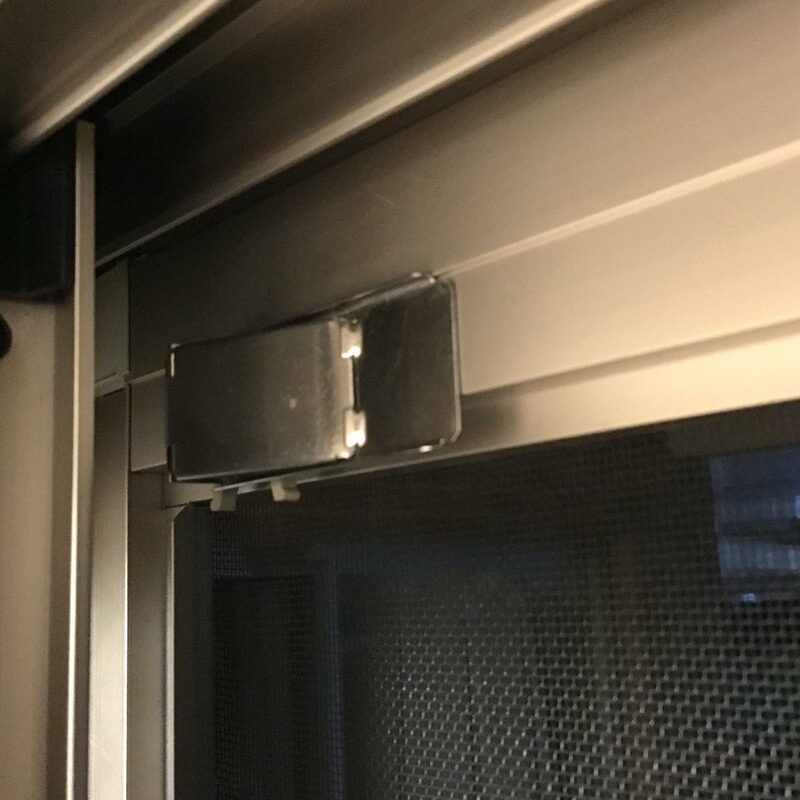 The screen door can then be easily locked or unlocked by sliding the plate/flap to the lock position, using the frame of the glass door as a rest to prevent the screen door from opening. 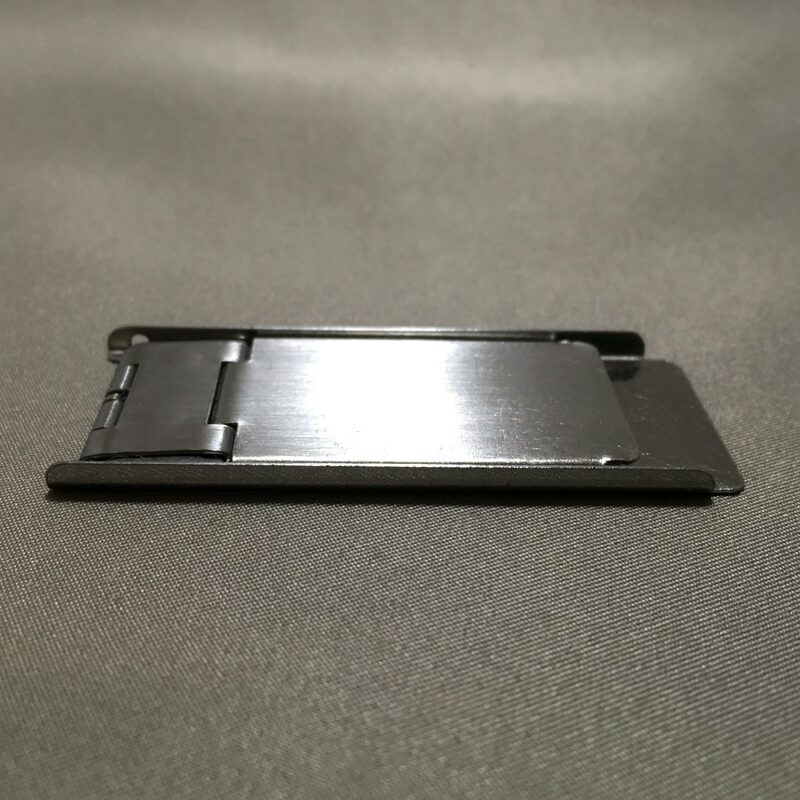 There is a small magnet on the stopper that keeps holds the metal plate/flap into the unlock position when it is not in use. – Remove any surface grease, dirt or moisture before attaching stopper. 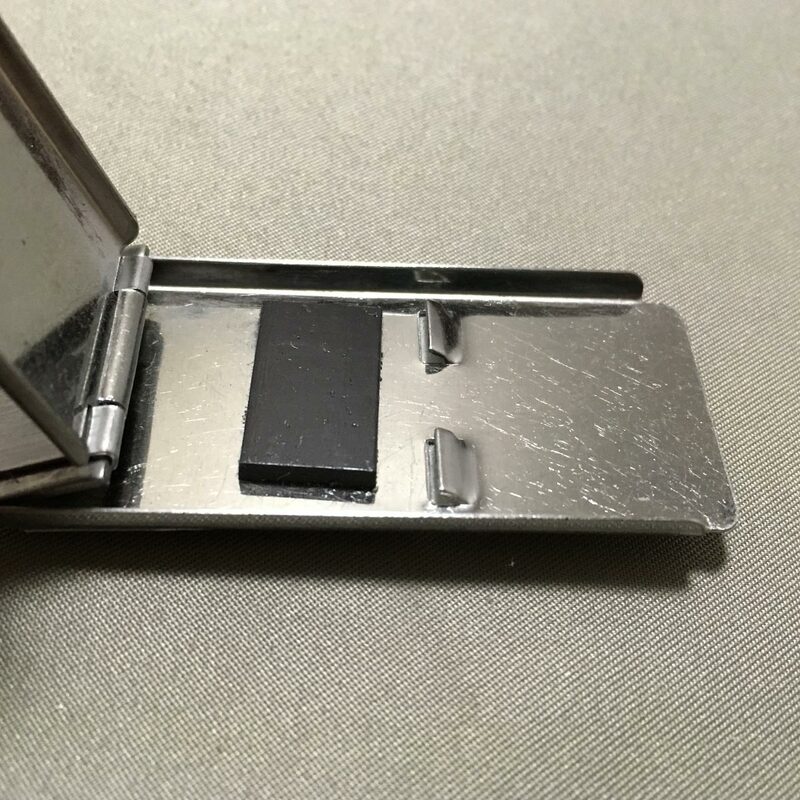 – After stopper is attached to the screen door frame, leave stopper for 1 day before use. – Do not use on uneven or rough surfaces. 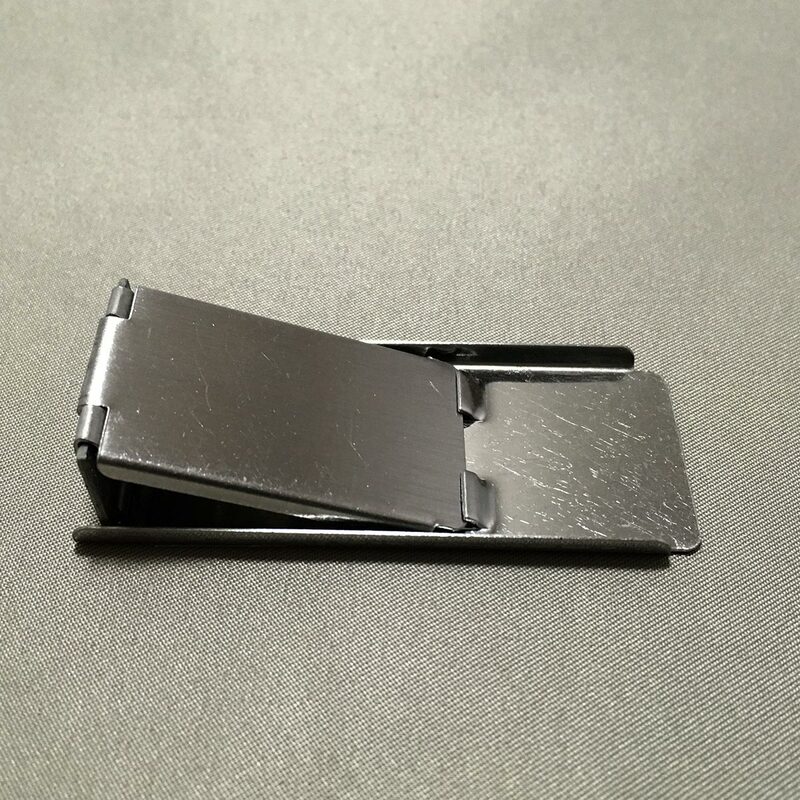 – Attach the stopper to the top of the internal side of the sliding insect screen door frame. – It is recommended to attach the stopper to the top and bottom of the screen door frame. – Clean the surface thoroughly with detergent to remove surface grease or dirt. Remove the tape backing from the adhesive and firmly attach the stopper to the frame. – Refer to the diagram above. 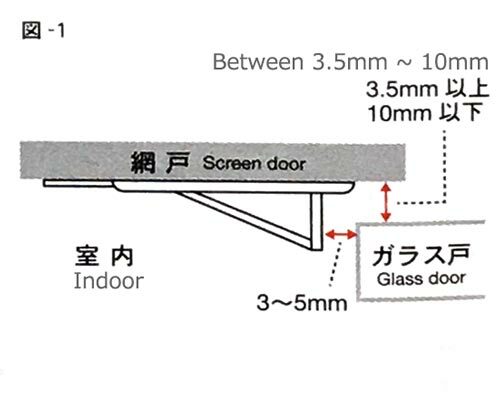 A 3.5mm to 10mm gap is required between the screen door and the glass door frame. 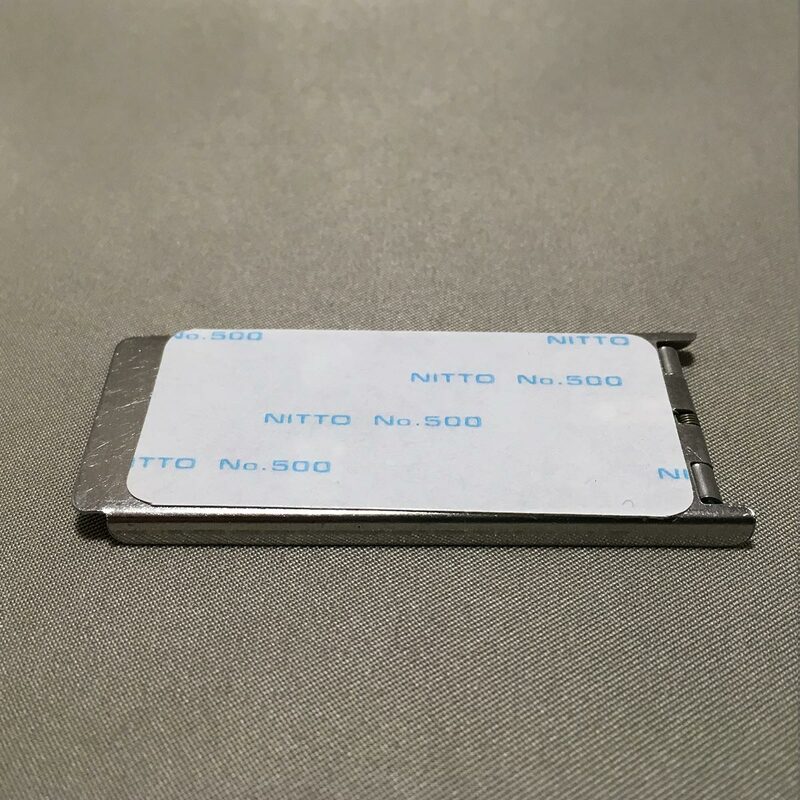 – Use adhesive remover or detergent if adhesive residue is left on the surface after removal of the adhesive tape. To Unlock: Lift the plate/flap and release. 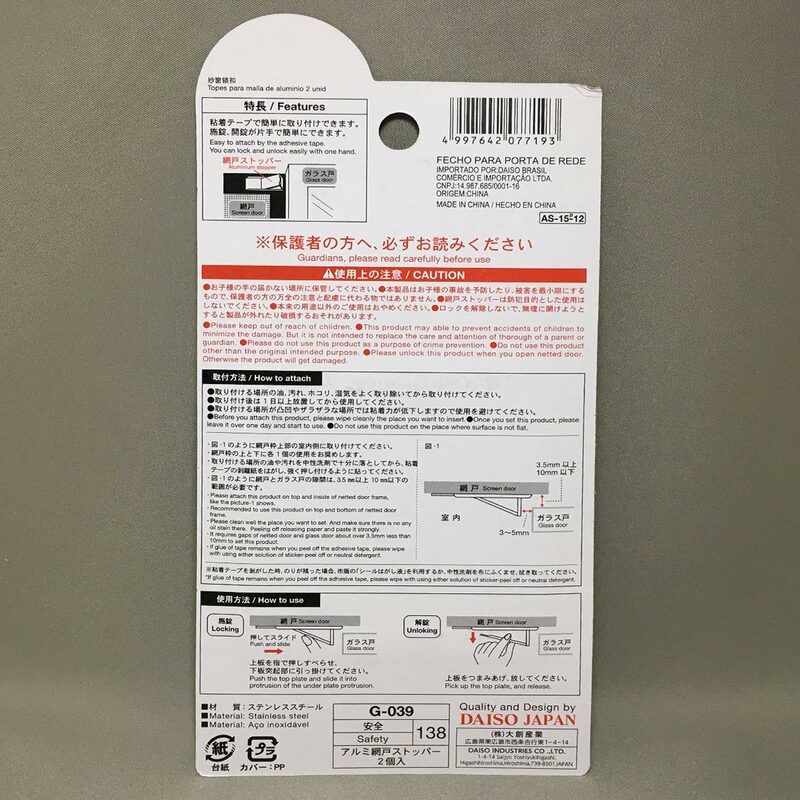 – This product is to prevent accidents and minimize the injuries to children and is not intended to be a substitute for the care and attention from guardians. 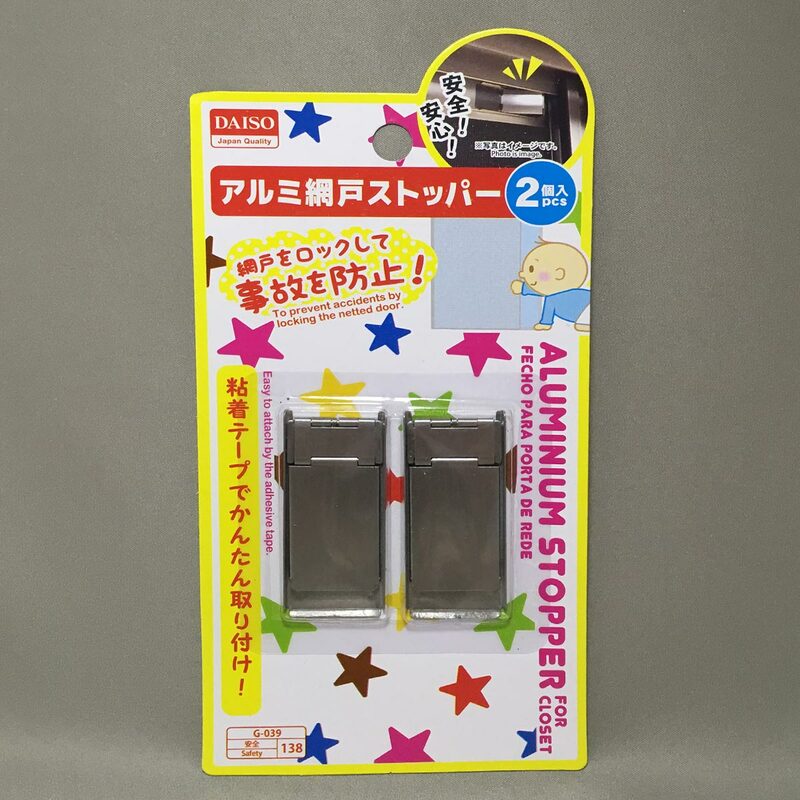 – Do not use the stopper for security purposes. 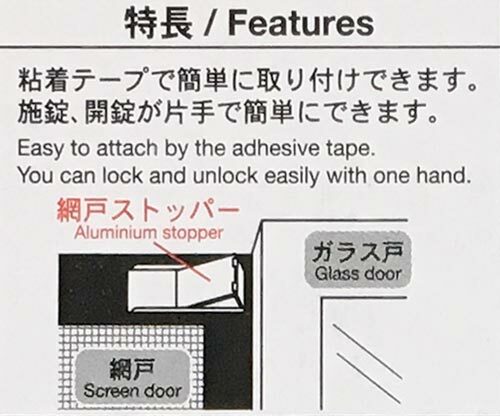 – Do not open screen door while the stopper is in the locked position. My son is still very small and he loves opening the screen door. We usually keep it open to let the breeze in when it’s not hot or humid enough to use the air conditioning (also save on electricity). The stopper was easy to install and worked well at the start (yes, he wasn’t able to go out and make a mess!). 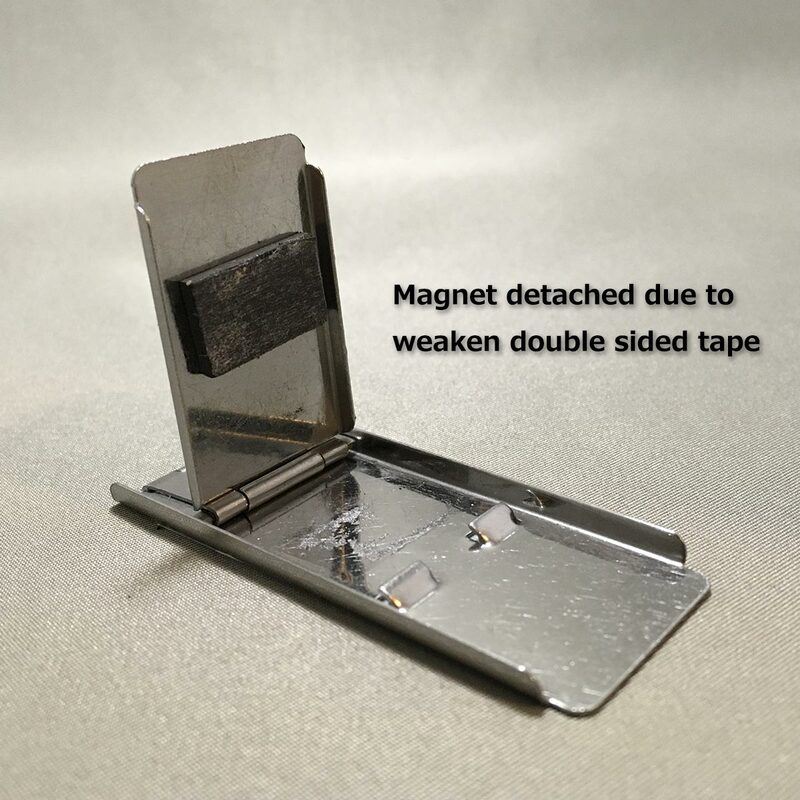 However, the magnet that keeps the plate to the stopper became detached after a few slides to lock and unlock the stopper. I ended up using a new piece of double sided tape to stick the magnet back to the stopper. So far it’s working fine… hope it doesn’t somehow lock us out of the house!